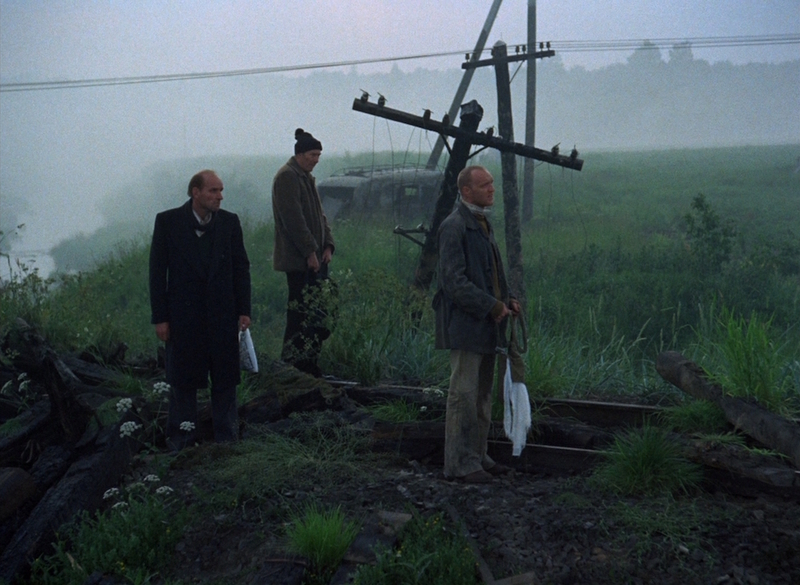 Andrei Tarkovsky, no stranger to the struggles and pitfalls of attempting to make films in his native Russia, brought the extraordinary Stalker (1979) to the screen after a turbulent period of development and production. It would also be the last film he’d make in Russia, and heralded what Sean Martin refers to as “the onset of Tarkovsky’s late period.” Criterion’s new Blu-ray release provides another opportunity to see, in a beautiful high definition transfer, what could rightfully be regarded as Tarkovsky’s masterpiece. Between the release of Solaris (1972) and the shooting of Mirror (1975), Tarkovsky had considered but failed to realise a number of projects, including an adaptation of Dostoyevsky’s ‘The Idiot’. He turned instead to the science fiction novel Roadside Picnic, written by Arkady and Boris Strugatsky, and originally published by the Soviet literary magazine Avrora in 1972. On 26 January 1973 he noted in his diary, “I’ve just read the Strugatsky brothers’ science fiction story, Roadside Picnic; that could make a tremendous screenplay for somebody as well.” He recommended it to his friend and fellow director Mikhail Kalatozov. Kalatozov, winner of the Palme D’Or at Cannes for The Cranes are Flying (1958), ultimately couldn’t secure the rights to the story. It wasn’t until March 1975 that it became more than just a suggestion and evolved into a screenplay that he wanted to direct. Tarkovsky met with the Strugatsky brothers, discussed at least three variations of the script with them, and they submitted a proposal to Mosfilm studios in the autumn entitled The Wish Machine. He expected to start filming in the summer of 1976 but, as usual, he found starting production on films in Russia increasingly difficult. They were often subject to endless delays and bureaucracy at the behest of Goskino, the State Committee for Cinematography. Nikolai Sizov, the head of Mosfilm, approved the scenario as early as December 1975 and Tarkovsky’s collaboration with the Strugatskys continued into 1976. 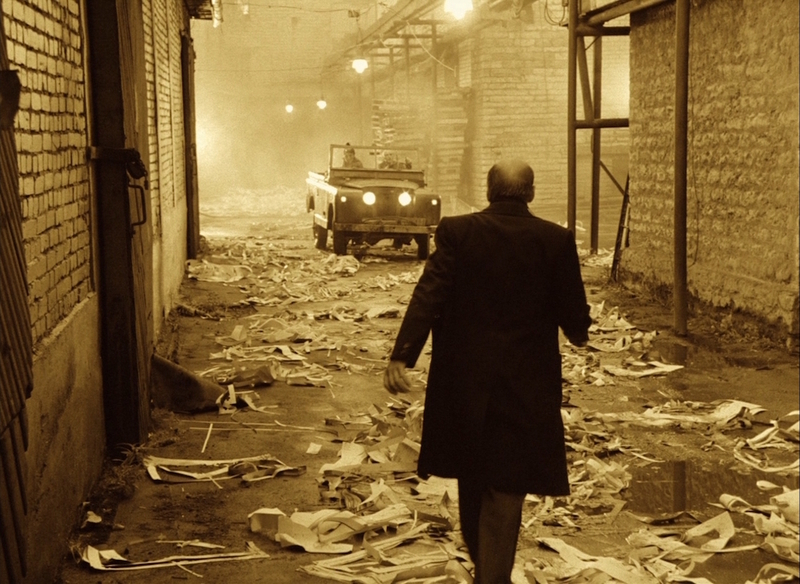 In April 1976, during discussions on the third version of the screenplay the title of the film was changed to Stalker. The original plot of Roadside Picnic concerns events 30 years after an alien visitation. An international institute, the United Nations and the police compete with ‘stalkers’ — freelance, independent adventurers — to undertake salvage operations in six dangerous areas of alien infiltration, called the Zones. Red, a stalker, has spiralled into alcoholism and depression after one disastrous visit to the Zone resulted in the death of a friend. 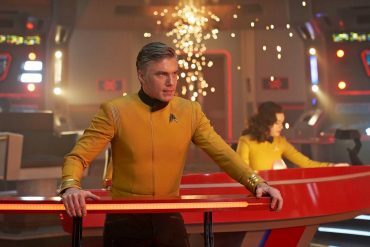 Because The Zone causes a high chance of mutations in children, he returns to it to make a request of a device called the Golden Sphere that his daughter be spared from the effects of the Zone. He’s accompanied by the teenage son of his friend and, after their arduous journey, the teenager rushes towards the Sphere to wish for “Happiness for everybody, free, and nobody will go away unsatisfied.” However, Red knows that the Sphere is booby-trapped and will kill the first person that approaches it before allowing a second traveller to access it. Having selfishly allowed the teenager to die, he is so tortured by guilt that he repeats the boy’s wish to the Sphere. The story ends inconclusively and the reader does not know if the wish was granted or if Red survived. 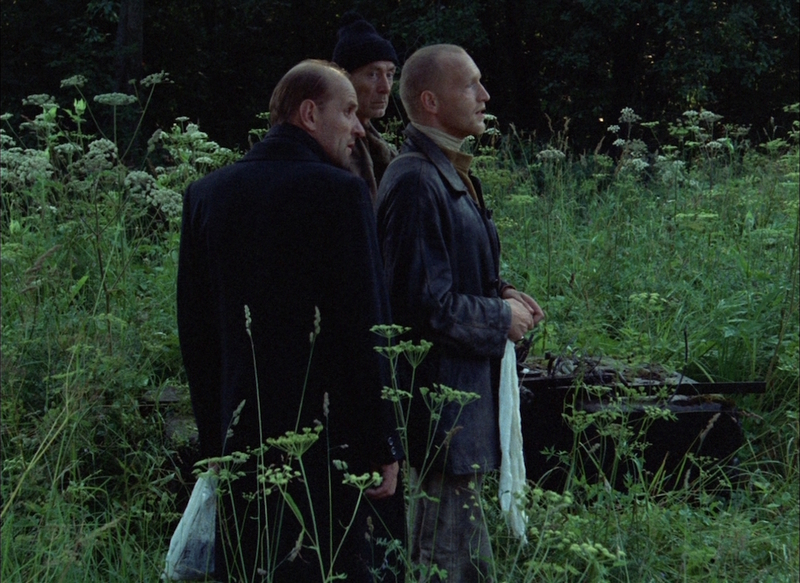 Tarkovsky and the Strugatskys stripped down the plot, reducing it to a single journey into one of the Zones by the Stalker of the title and his two companions, the Writer and the Professor. Tarkovksy screen-tested in January 1977 and cast Alexander Kaidanovsky as Stalker and Solaris actors Anatoly Solonitsyn and Nikolai Grinko to play his fellow Zone explorers. 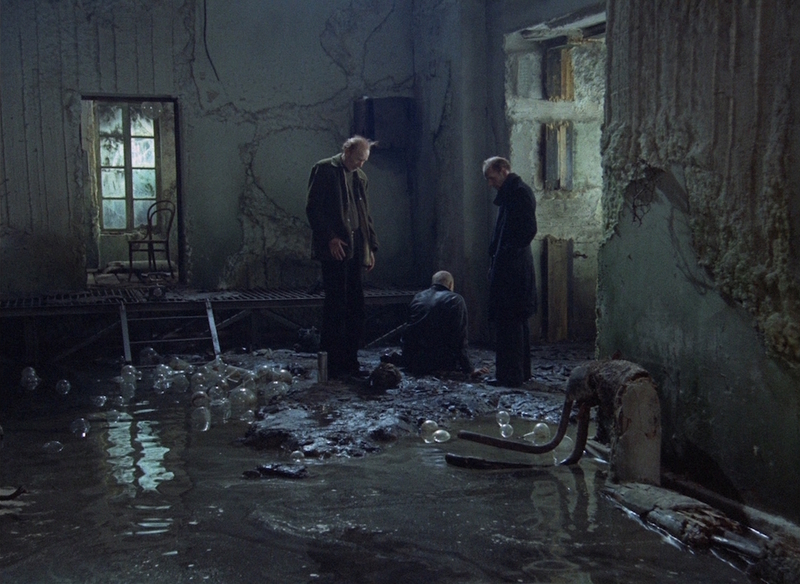 By the time Tarkovsky was shooting interiors for Stalker’s flat in February, while he was also directing a stage version of Hamlet in Moscow, the script was allegedly on a twelfth or thirteenth draft. He’d intended to shoot on location in Isfara, Tajikistan, because the landscape resembled the lunar surface. However, Isfara was hit by an earthquake that destroyed the town and it became logistically impossible to start the film there. Another location in the Ukraine, near a foundry, was abandoned after the crew was informed the area was too polluted. Three months location shooting eventually commenced in May at a derelict youth camp, an abandoned ship yard and oil processing plant, and a nearby power plant and dam on the river Yagala in Tallinn, Estonia. 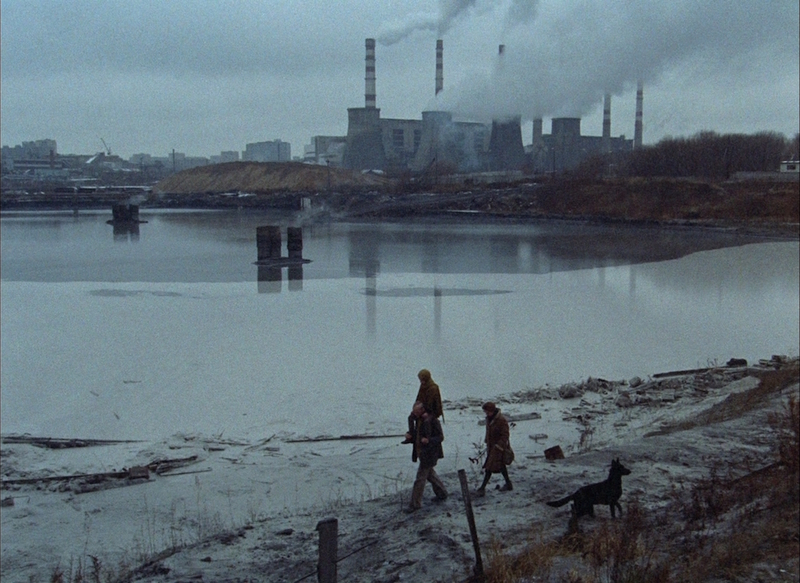 This depiction of a devastated future world has since been remarked upon as something of a premonition, what Geoff Dyer refers to as: “the idea that Stalker imaginatively anticipated the Zone of Exclusion around Chernobyl has become a critical commonplace.” It’s best epitomised in that shot at the end of the film as Stalker, his wife, his daughter, and their newly-acquired dog trudge home. A power plant sits ominously in the background. Tarkovsky’s troubles escalated. 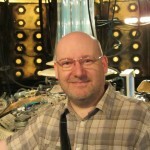 He had a falling out with his cinematographer Georgii Rerberg and set designer Alexander Bojm, and sacked both of them. Bojm was accused of being drunk and Rerberg was criticised when a problem with the Kodak film stock was discovered in the summer of 1977, after more than half the film had been shot and nearly all the budget spent. It emerged that the stock was defective and the Russian labs weren’t set up to process it to the standards required. Tarkovsky suspected it was deliberate sabotage on the part of his ‘enemies’. 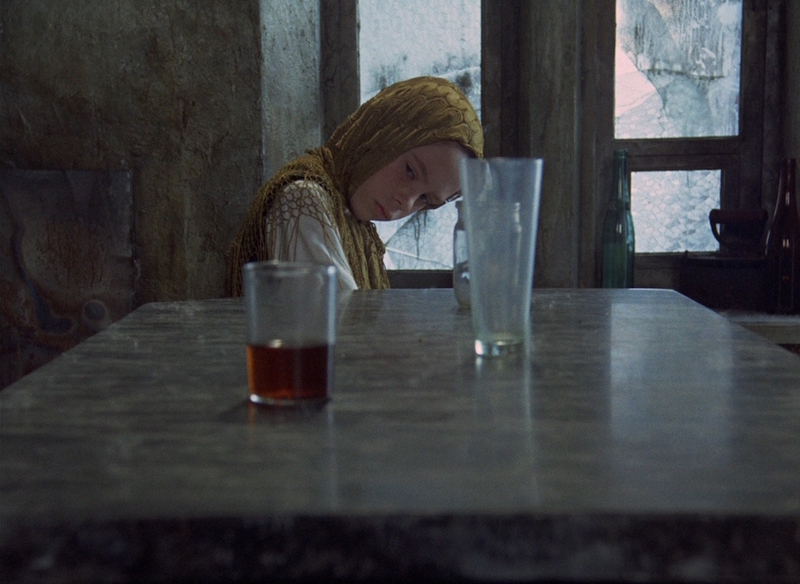 As Vida Johnson and Graham Petrie suggest, this was perhaps something of happy accident for Tarkovsky. Rerberg was no longer working on the film and, while production was halted, he saw an opportunity to rewrite the script and start afresh. He persuaded Goskino to allow him to complete the film, despite their initial instructions to abandon it. Its production was split into two parts, shifted into the schedule for 1978 and granted an additional budget of 300,000 rubles. We wrote not a science fiction screenplay but a parable. A fashionable Writer and a prominent Scientist go into the Zone where their most cherished dreams might come true, and they are led by the Apostle of the new faith, a kind of ideologist. Tarkovsky then suffered a heart attack in April 1978 and filming was delayed until June. By then Kalashnikov and Abdusalamov had gone, allegedly ousted from the production when they failed to sign the petition made to Goskino by Tarkovsky’s wife to keep the film in production. Tarkovsky took on design duties while Alexander Knyazhinsky became the third cinematographer to work on the film. Emerging from this chaos, the third version of Stalker was more or less left uncut and only minor changes were requested. Although accepted in May 1979 by Mosfilm and Goskino, Stalker was subjected to some questioning from military leaders: “Where is this taking place? 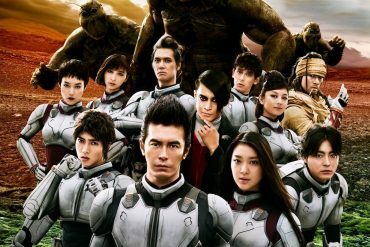 What are these people, whose helmets are they wearing? What is this zone?” Mosfilm also thought it was too slow and this simply encouraged Tarkovsky to pace the film even slower. It was eventually released the same month in Russia and a year later received a rapturous reception at Cannes. 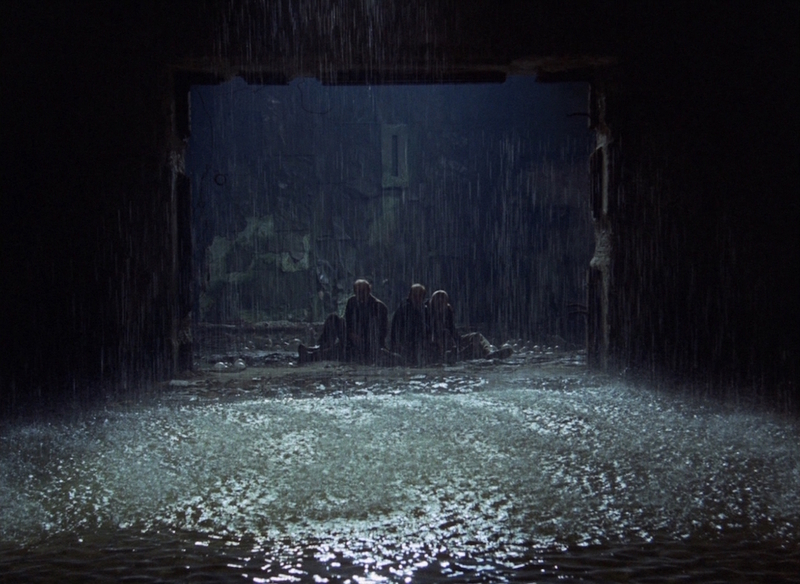 Tarkovsky abandoned the science fiction elements of Roadside Picnic for something altogether more philosophical and allegorical. 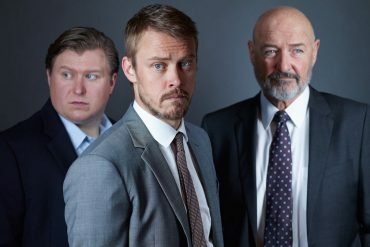 Its three characters, Stalker (Alexander Kaidanovsky), Writer (Anatoly Solonitsyn) and Professor (Nikolai Grinko), journey into the Zone in search of a Room where their innermost desires can be made to come true. Managing to avoid a series of traps, they arrive on the threshold of the Room only to halt and reconsider their reasons for entering the place. Like a version of The Wizard of Oz (1939) written by Samuel Beckett, Tarkovsky’s film is about the journey as a means to an end in itself rather than the Grail like reward promised by the Room. This is a pilgrimage of faith, of discovering the authentic self beneath the trappings of a life scraped together in a dystopian society outside the Zone. 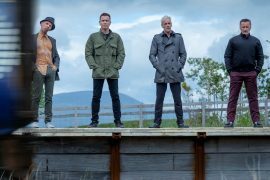 As Geoff Dyer acknowledged, it’s also a deeply Romantic film and the three characters in search of the Room are also passionately attempting to understand the essence of spirituality in nature. As Sean Martin suggests, “Professor is rational, while Writer is intuitive. 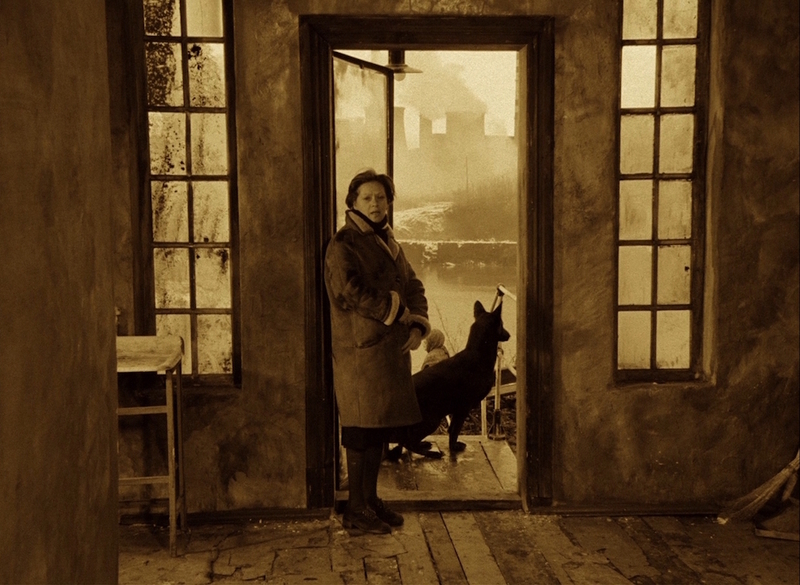 Between them stands Stalker, a man of faith to whom Tarkovsky said he felt closest of the three” and the film’s exploration of faith is also a reflection on how a life within the Soviet Union of the time could be sustained. It is certainly no coincidence that the infamous Gulags were also known as Zones and it is entirely possible to read the film as an expression of their political prisoners to escape torment and to find that fleeting remnant of faith in a wrecked, stagnant and faithless world. This painful journey through the Zone, across a landscape and to a Room is ever changing. Time and space warp and weft, reality is not always what it seems and yet, as Stalker informs his fellow travellers, “we’ve made it with our condition” and the suggestion is that the Zone is a living avatar of their conscious thoughts. 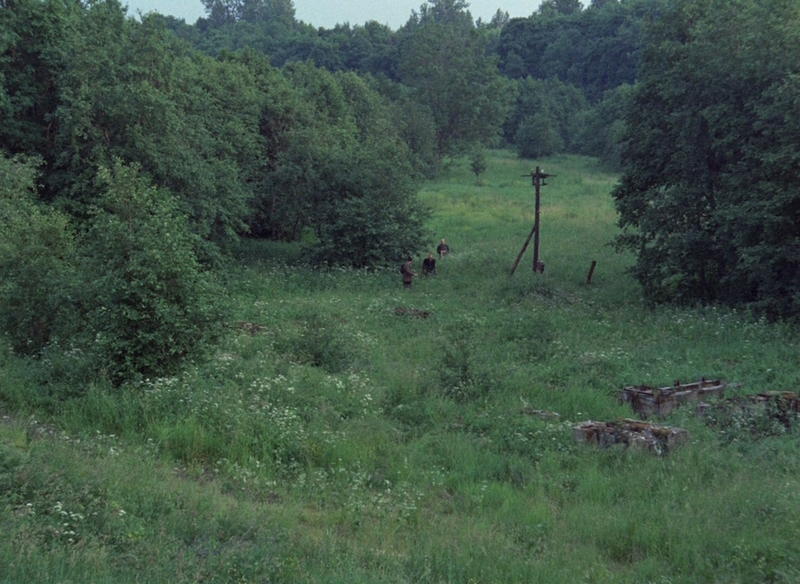 Tarkovsky shows that the Zone’s alive and aware of their presence, with some point-of-view shots where the Zone’s presence is watching them and its voice is warning the travellers. In the end, they pass through a subterranean tunnel known as the ‘Meat Grinder’, as though the travellers are being forced through a psychological mincer, but they don’t enter the Room. This negotiation between the exterior landscape and the interior of the mind, the ability to find hope out of this increasingly disjointed time and space, clearly frightens Professor. He believes that by blowing up the Room he can prevent its power from being used by the wrong hands. “This place obviously won’t bring anyone happiness,” he declares. May everything come true. May they believe. May they laugh at their passions. For that which they call passion is not really the energy of the soul, but merely friction between the soul and the outer world. But mostly may they have hope and may they become as helpless as children. For weakness is great and strength is worthless. This positions the film as a ‘pilgrim’s progress’, a journey of faith studded with Christian references. These include lots of baptismal water, blood, a painting of Christ by Jan Van Eyck from the Ghent altarpiece and, obviously, the crown of thorns that Writer wears in a moment of self-mockery and Stalker’s quotation of the Gospel of Luke, where the resurrected Jesus is not recognised by two disciples. 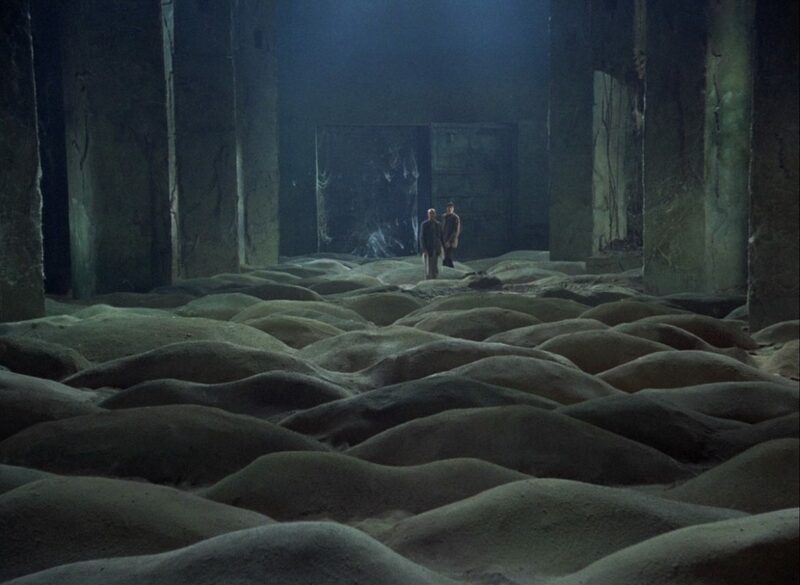 Tarkovsky turned to Eduard Artemyev, the composer who worked on Solaris, to provide the film’s music and they decided on a mixture of Eastern and Western music and sound palettes. He rejected Artemyev’s first attempt and the entire score was reworked by electronically manipulating Indian music motifs. 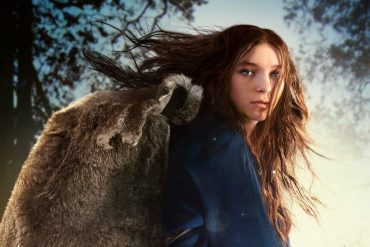 The score is magnificent and blends electronic and orchestral harmonies with sound effects. Significantly, as Geoff Dyer notes in his interview on the disc, Artemyev uses a combination of these to track the progress of the travellers and their journey by rail car from the sepia toned military industrial complex of the opening section into the richly embroidered post-industrial landscape of the Zone. The clanking of the train car blends into something that sounds like it was composed by Kraftwerk for their Autobahn album and it seems apt as sepia transitions to colour. 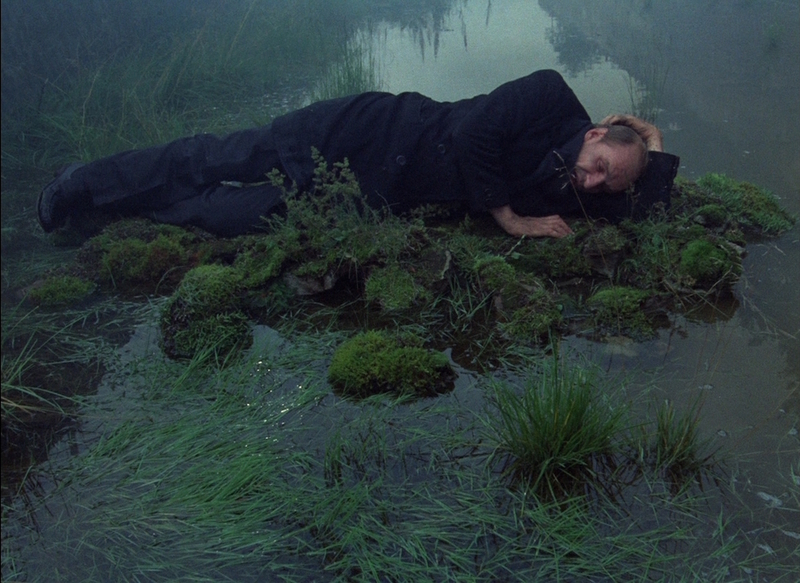 Tarkovsky’s familiar tropes of fire, earth, air, and water, are bound up within the landscape and how it delineates what Mark Le Fanu described as the poverty of spirit in Stalker’s world. 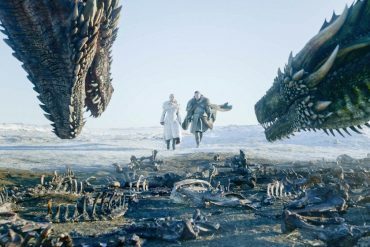 It is exquisitely filmed and shifts, like The Wizard of Oz, from a dramatic sepia tinted political nightmare to a richly coloured dreamscape of the soul. 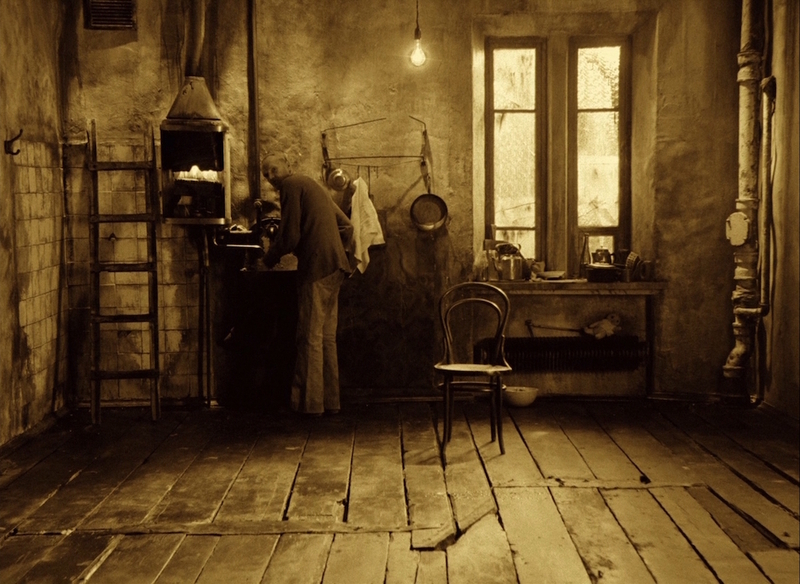 After the transformation of their psyches outside the Room, the film returns to sepia but, significantly, colour is used in the shots of Stalker and his wife (Alisa Freindlich) and child at the end of the film. Hope is in colour. The screen on which their philosophical desires are projected is not empty in this respect. It’s overflowing with graceful camera moves as the post-industrial landscape of the Zone is penetrated and explored. The materialist world is consumed by the natural world, “swathed in fog and aquatic with spas, needled with drizzle, sluicing, streaming, coursing and dripping with rain and snow, indoors and out.” Water reflects and mirrors the journey into the subconscious. Decaying, rusting discarded buildings, objects and artifacts litter the Zone, gradually succumbing to the forces of nature. This reclamation by nature offers a version of the Romantic sublime. Criterion’s 2K digital restoration, sourced from Mosfilm’s 35mm camera negative, is the best I’ve ever seen the film presented on a home entertainment format. The detail and contrast are vivid and bold and the image is very clean. The landscapes of the Zone are vibrant with colour, detail and depth and there are great improvements to the details in faces and costumes. The lossless mono audio has also been improved and sound and dialogue is clear and crisp. Geoff Dyer: a new half-hour interview with Dyer, the author of Zona: A Book about a Film about a Journey to a Room. Having just read this book about Stalker, it was fascinating to share Dyer’s passionate interpretation of the film, its structure and visual motifs. He’s thoroughly engaging about the ordinary magic of the film, its ability to haunt the imagination and how he connects the landscape of the film to his childhood. Eduard Artemyev: the composer discusses his working relationship with Tarkovsky and specifically the process they took to compose the East-West flavoured score of Stalker. 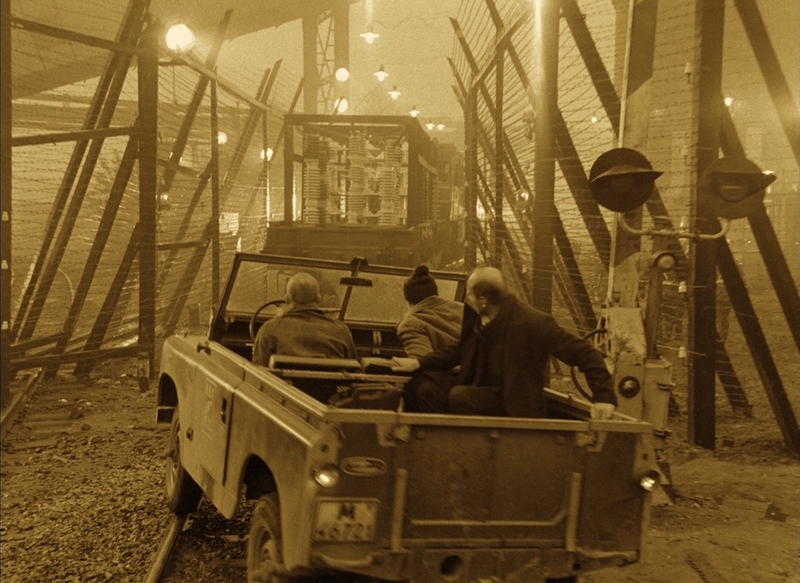 Rashit Safiullin: the set designer looks back at the difficulties Tarkovsky faced when the film had to be remounted after the initial work proved unusable. He also relates the problems of using three derelict tanks and the now infamous story about Tarkovsky demanding the removal of some errant dandelions from the location. 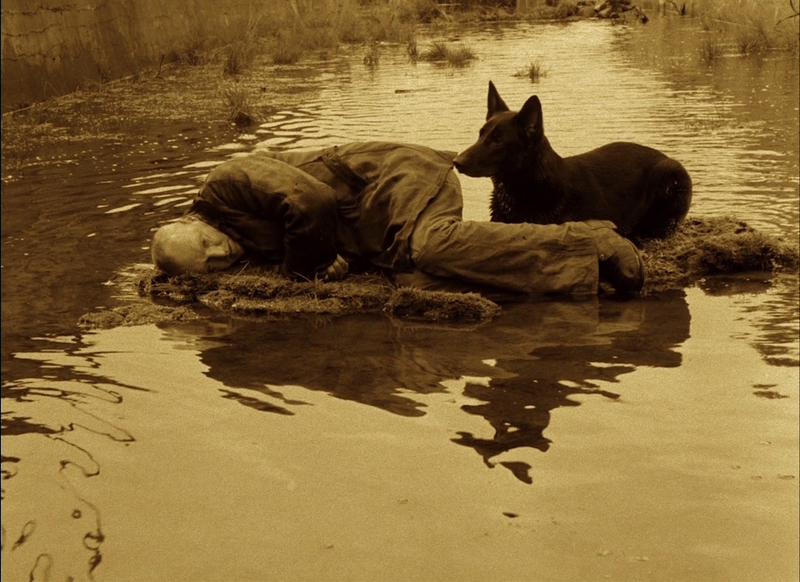 Alexander Knyazhinsky: in his last interview before his death, the cinematographer (the third to be assigned to Stalker) briefly reflects on the shooting of the film, Tarkovsky’s meticulous positioning of actors, the dangerous locations and a certain Estonian dog. This is accompanied by some fascinating behind the scenes photography and footage. There is also an essay by critic Mark Le Fanu. writers: Arkadi Strugatsky & Boris Strugatsky (based on ‘Roadside Picnic’ by Boris and Arkady Strugatsky). starring: Alexander Kaidanovsky, Anatoli Solonitsyn, Nikolai Grinko & Alisa Freindlich. Time Within Time: The Diaries 1970–1986, Andrei Tarkovsky (Faber, 1994). The Films of Andrei Tarkovsky — A Visual Fugue, Vida Johnson and Graham Petrie (Indiana University Press, 1994). Zona: A Book about a Film about a Journey to a Room, Geoff Dyer (Canongate, 2013). Andrei Tarkovsky, Sean Martin (Kamera Books, 2011). Andrei Tarkovsky: Interviews, edited by John Gianvito (University Press of Mississippi, 2006). 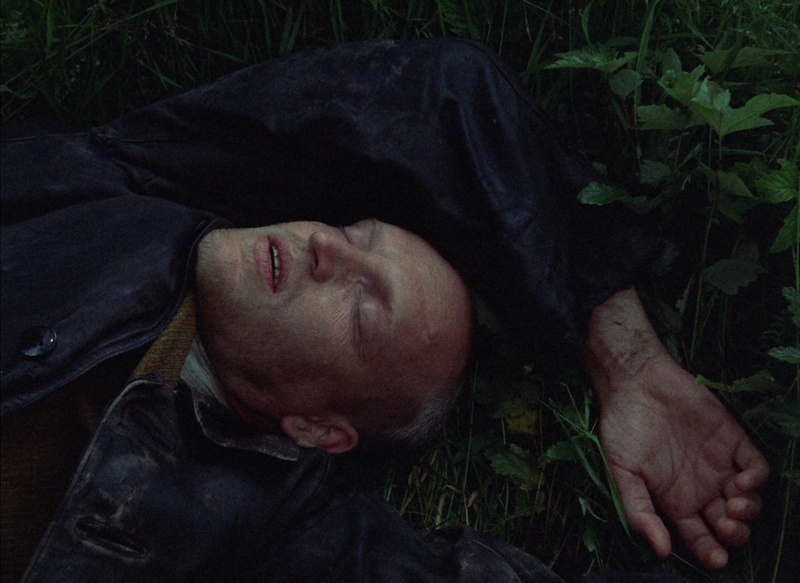 The Cinema of Tarkovsky: Labyrinths of Space and Time, Nariman Skakov (I.B.Tauris, 2012). Ecologies of the Moving Image: Cinema, Affect, Nature, Adrian J. Ivakhiv (Wilfrid Laurier University Press, 2013).